I found this great bread at Trader Joe's and what I love about it is that it is smaller than regular bread and the perfect size for a Henry sandwich. 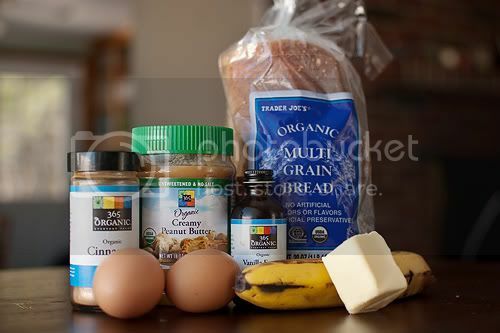 The peanut butter I use is unsweetened with no salt and the butter is unsalted as well. I started by taking 1/4 cup of peanut butter and 1/2 a banana and mashing them together in a bowl. 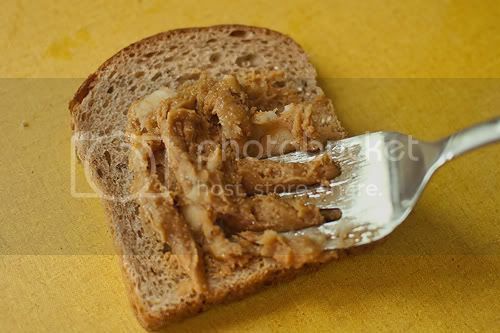 Then I spread 1/3 of the mixture on a piece of bread. Then made a little peanut butter and banana sandwich. In a separate bowl I combined 2 eggs, a dash of cinnamon and a capful of vanilla extract. Then scrambled it all together. Now it was time for my sandwich to take a little swim. I heated up the pan to low and added a pat of unsalted butter. Since this is mini bread I was able to do 2 sandwiches at once and cooked them until golden brown on one side, flipped them over and then cooked that side until it was golden brown as well. Of course I had to serve this on Henry's monkey plate. I sliced up the left over banana on the side and drizzled it with Honey. Then a close up of this deliciousness. 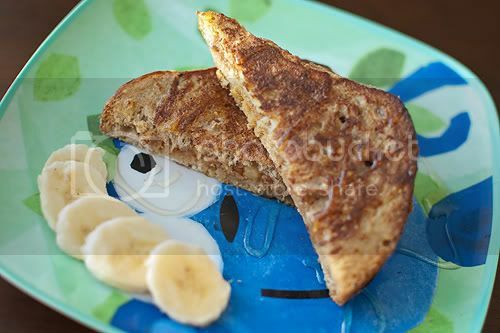 What I loved the most was that Henry could eat this like a sandwich and unlike traditional french toast that has maple syrup all over it there was no sticky mess to clean up after. This recipe made 3 mini sandwiches which would have been perfect for Chris, Henry and I. However chris was away so our 2 dogs Jax and Bella scoffed up the third one. 2. 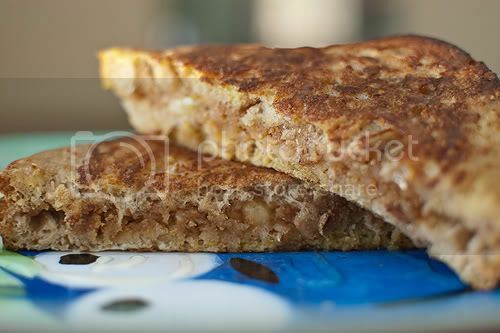 Spread 3 slices of bread with the peanut butter and banana mixture. 3. 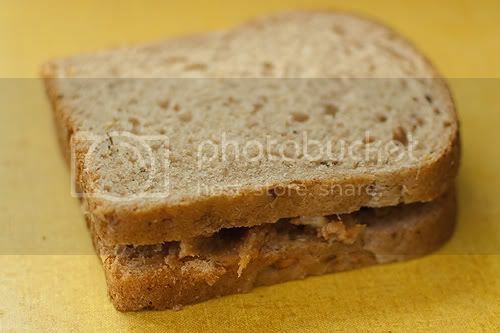 Use the remaining 3 slices of bread to make 3 peanut butter banana sandwiches. 4. In a separate bowl combine 2 eggs, a dash of cinnamon and a capful of vanilla extract. 5. 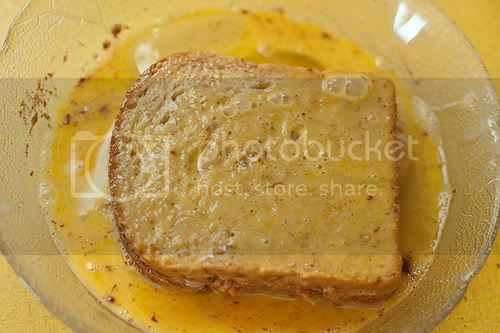 Dunk in sandwich into the egg mixture and coat both sides. 7. Place a sandwich in the skillet and cook one side till medium brown. 8. Flip the sandwich over and cook the other side to medium brown. 9. Use the remaining banana to garnish the plate.